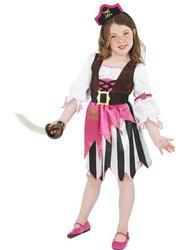 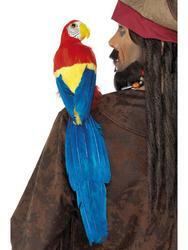 Transform your little one into a swash buckling hero with this buccaneer pirate fancy dress costume. 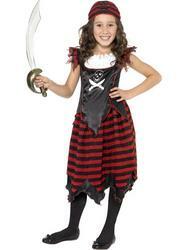 Included is a white short sleeved gypsy style top with jagged hemlines to the sleeves, black over-shirt vest with gold detailing and a criss-cross tie front and a black skirt with a red and white striped contrasting section and jagged hemline. 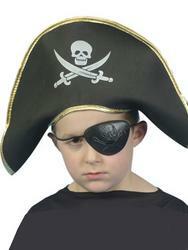 To complete the pirate outfit is a red and white striped headscarf. 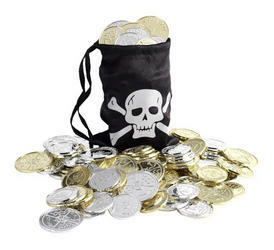 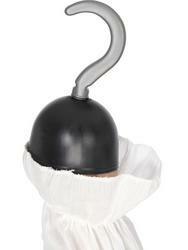 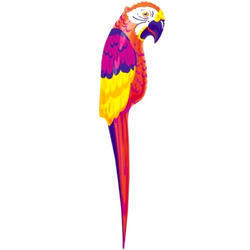 Great for wearing to a TV, pirate or film themed fancy dress party.